In this tutorial, I’ll share with you some powerful methods for growing your Facebook audience in 2019. Not only that, but I’ll also share some tools that you can use to successfully grow your fanbase on Facebook. Let’s get to it! Facebook pages for businesses has changed a lot over the years. If you were one of the first to adopt Facebook for business and created a fan page back in the early years, you’ll know just what I mean. About four years ago, around 2015 I believe it was, I made the decision to shut down my original Facebook page for Magnet4Blogging. I originally launched the page back in 2010 and it had reached around 10,000 Likes at the time. Well, because Facebook simply stopped working for me. Before Facebook chopped and changed things around (for the good of things), the engagement level was pretty decent on my page, but it eventually dimmed out. In addition, I also made a lot of silly mistakes with my Facebook page. When I started the page back in 2010, I decided to invest some money in buying fans/likes from third-party websites. I didn’t buy a lot of them, just enough to get me started. Yep! It was one of the dumbest things I’ve ever done as far as using Facebook for marketing is concerned. I had the likes alright, around 5,000 extra likes, in fact, but the majority of those were worthless and probably generated from fake Facebook accounts too. What can I say, it was a silly and naive thing to do, but I hold up my hands and admit I made a mistake. So, if you’re thinking of buying likes to boost your Facebook page for your business, don’t even bother. I decided to start a brand new page a few months after deleting the old page and went about doing things differently. Within a few months of promoting my new page, and with just 100 fans, the engagement was far better than my previous business page that had 10k fake likes! Don’t buy Facebook fans, ever! That’s right, don’t even entertain the idea of buying fans from any third-party websites that are offering X amount of fans for whatever price. It might sound like a tempting deal, but in the long run, it’s not worth it, because you will not get the level of engagement that you can get from real, targeted fans. Yes, I’ve seen the claims, a lot of websites swear that they offer 100% real genuine followers, but don’t believe it, there’s zero guarantee – that is what you are going to get if you go down this route. Right, moving on, because this post isn’t about what I did to screw up my first Facebook page, this post is about growing your Facebook audience, the smart way. But I guess, the first lesson to be learned here is – Don’t pay for fake likes. Right then, here are some smarter and genuine ways to grow your Facebook audience. Let’s get to it! You’ve got to stop messing about posting once per week or per month (I hope not), and start posing every day. By being active daily, you have more chance of getting your content noticed and therefore liked and shared by your existing fans, assuming they follow your page notifications, of course. Remember, not all your fans will be on Facebook at the same time. So it’s really important you share a piece of content two or three times per day! Let’s dive deeper into this one because it’s a pretty big tip! What content are you going to post on Facebook three times a day? Where are you going to get content for your Facebook page in the first place? You don’t have time to sit and post content daily on Facebook! OK, well first of all. Stop making pathetic excuses! Here are some content sharing suggestions that can help you boost engagement and shares, which will help you grow your Facebook audience. Relevant images and graphics. Take some photos with your Smartphone! Native videos (Maybe a daily vlog). Links to blog articles and resources, (Don’t just promote your own blog content). Stories and behind the scenes stuff. Now, the other thing is that you don’t need to struggle to find time to post content on your Facebook business page, you can schedule content. 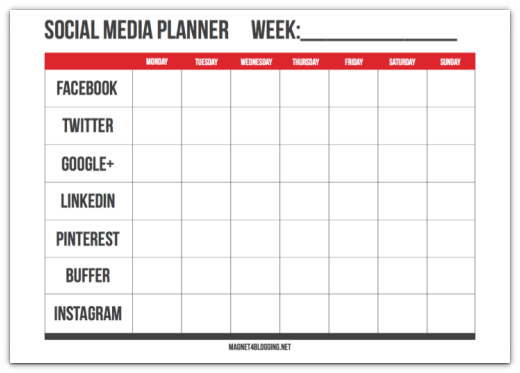 This Social Media Planner shown below is available in my Ultimate Pro Blog Planner workbook. 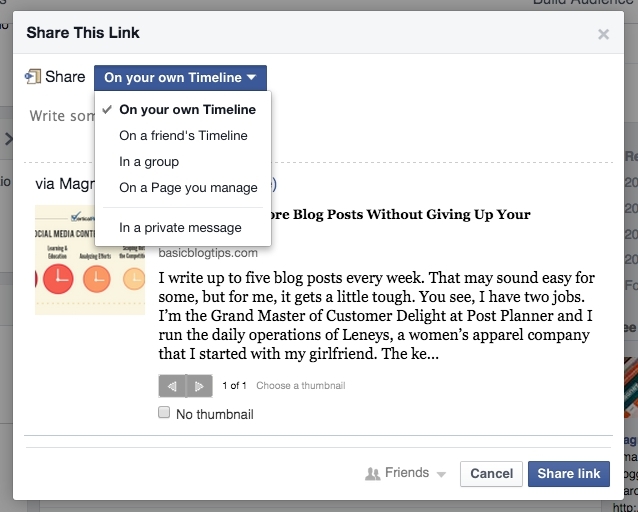 Here are some other tools you can use to schedule your Facebook messages. If you really want to see your Facebook page likes grow, then you’ve got to share more relevant, engaging, and actionable content. Here’s an interesting statistic I want you to keep in mind. 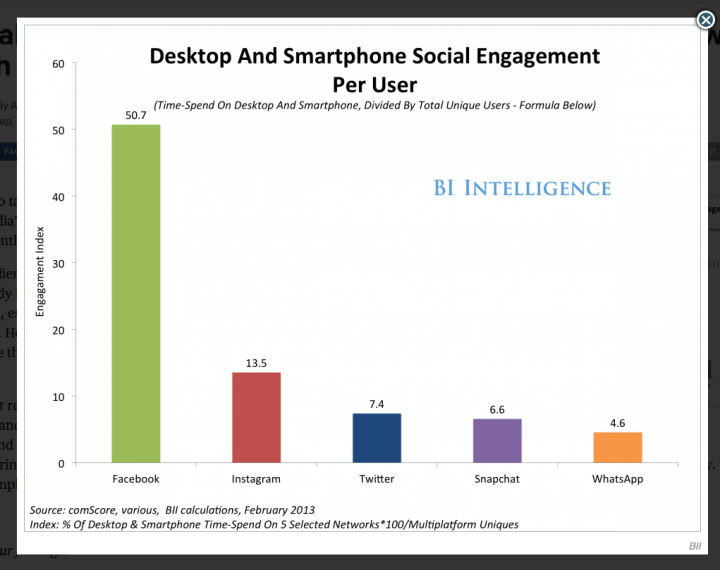 People using smartphones and desktop computers spend on average, 50 seconds engaging on Facebook? Now, you do the maths, and then think about how active you currently are on Facebook, and how much more you could be doing. This is not a new strategy by any means, however, it’s so easy to overlook the potential of using your Facebook page to engage with other similar business pages on Facebook. I love to use my Facebook page as ‘user’ to leave comments as well as to Like ‘content’ of similar interests on pages that I follow. Doing this not only means I’m contributing to add value and engage with other similar fan pages, and their audience, but I’m also increasing the chances of getting my own Facebook page noticed, and, of course, growing my audience organically. Facebook insights is a great feature that can provide you with lots of useful information to help you improve your Facebook marketing. Be sure to keep an eye on your posts > all posts published and pay special attention to the reach and engagement columns. Then click to select ‘Reactions’, ‘comments’ and ‘shares’. With this knowledge, you can create more similar content of interest to share, and therefore boost engagement, and grow your Facebook audience. I realize that perhaps this is something you might be reluctant to want to do, but when done correctly, a powerful and targeted Facebook Ad campaign can help you grow your audience. You don’t need to spend a huge fortune to make just a few of your posts more visible to your targeted audience. Or, you might want to run a page promotion campaign a few days each week like I do. There’s an excellent post over on Social Media Examiner titled: 6 Tips To Improve Your Facebook Advertising Results, which provides some valuable tips and insights. You can check it out here. Also, be sure to read my post on how to optimize your Facebook Ad Campaigns. This goes without saying and is such a simple thing to do, yet very few folks actually do. If you haven’t already done so, then go ahead and do it right now! Let all your friends, and perhaps some professional contacts on your friend’s list, know that you have a Facebook business page that they might be interested in. Let them know that you work there and that they can follow your updates on your page. If you are active on other social media sites other than Facebook, then definitely link to your Facebook page from those too. Of course, you don’t need to do this if your objective isn’t to grow your Facebook audience. 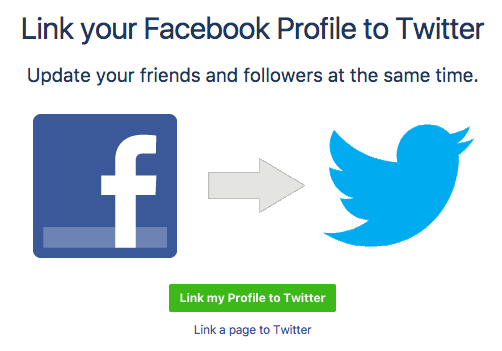 Here’s a tip: If you want your updates on Twitter to automatically be sent to your Facebook page, click here to connect your Facebook page to your Twitter account. Important Note: Before you do this, be aware that sometimes not all the content you share on Twitter will be suitable or appropriate for Facebook. What I mean is that your fans on Facebook may engage with images, videos, and other visuals and may not necessarily engage with content designed specifically for sharing on Twitter. Tune into this podcast to learn more. Whether you’re sending emails from Gmail or Hotmail, or an email campaign through your email marketing service provider, your Facebook page URL should always be present in your email signatures. This is useful if you are sending email quotes to your prospects, connecting with new influencers, responding to client or reader enquires, etc. If they see you’re on Facebook, they may be encouraged to come over and like your page. Moreover, it also provides your prospects with some social proof! Don’t be afraid to use call-to-actions either. Actually, ask people to follow you on Facebook otherwise they may forget to. 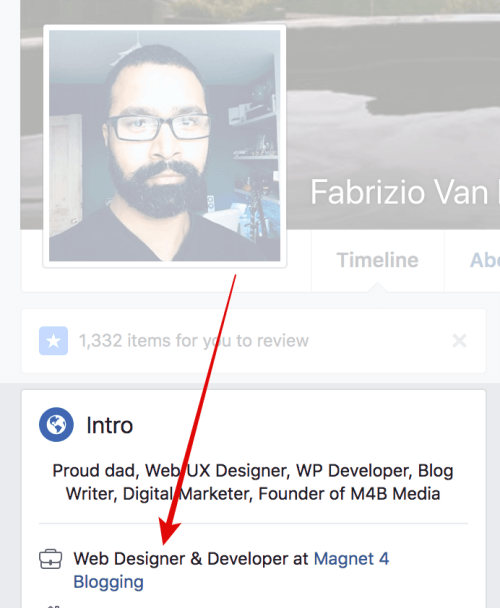 Finally, very occasionally, (I can’t stress on the very occasionally enough) you can share something cool from your Facebook business page to your personal profile. This works great in instances where you might have interviewed someone who you’ve become friends with, like someone influential in your niche or industry. In fact, how many friends do you have right now on Facebook that are actually professional contacts? I bet you have a few, right? Once again, this tactic is great to do from time to time, especially if you want to encourage some of your friends that might be interested in Liking your business page, services, products if it’s relevant to them. More top tips for growing your Facebook audience? If you’re looking for more ways to grow your Facebook fans, check out this awesome SlideShare Presentation below. It was created by HubSpot, highlighting a few other methods that I’ve not mentioned in my list above. Right, let me finish this post by sharing with you some useful links to recommended Facebook tools and resources. I’ve used most of these tools myself in the marketing of my business, and chances are you’re already using them too, but if not, then feel free to dig in. #1. CoSchedule – A powerful social media, content, and marketing calendar planner that has helped me immensely in my business over the last year! #2. Post Planner – A useful Facebook marketing tool to help you schedule, find relevant and quality content to share and sky-rocket your reach on Facebook. #3. Facebook Page Promoter Lightbox Plugin – A free (premium version available) plugin for WordPress which will enable you to add a pop-up Facebook like box to your WordPress site. #4. WooBox – A Facebook marketing app that allows Facebook page owners to create powerful contests, sweepstakes, coupons, and more to grow their fans. #5. 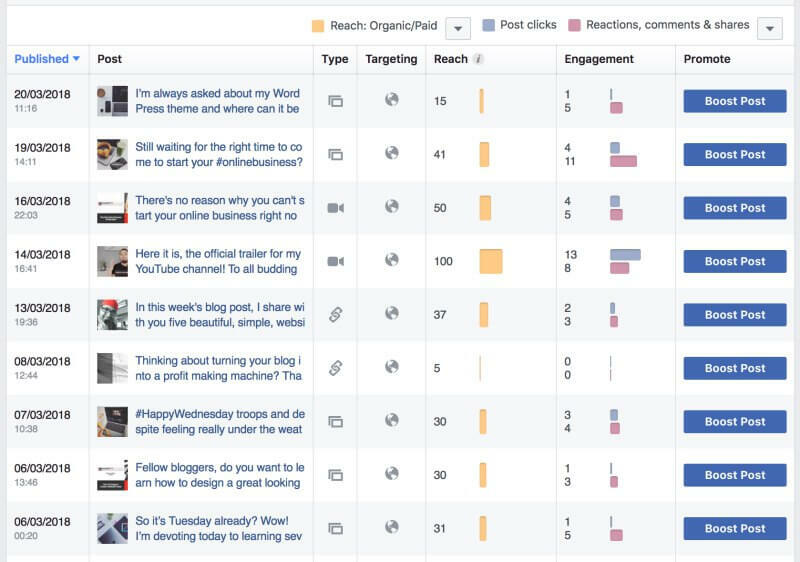 HootSuite – The best social media management platform on the web. Almost all of the posts that I schedule on Twitter and Facebook, along with engagement is done via HootSuite, can’t recommend it enough, especially as it saves time. #6. Facebook Page Manager App – An app for iPhone (App Store) or Android to help you manage and post to your Facebook business page on the go. #7. Facebook Page Insights – A useful analytical and engagement feature that provides insights into business page usage, such as engagement, likes and reach. 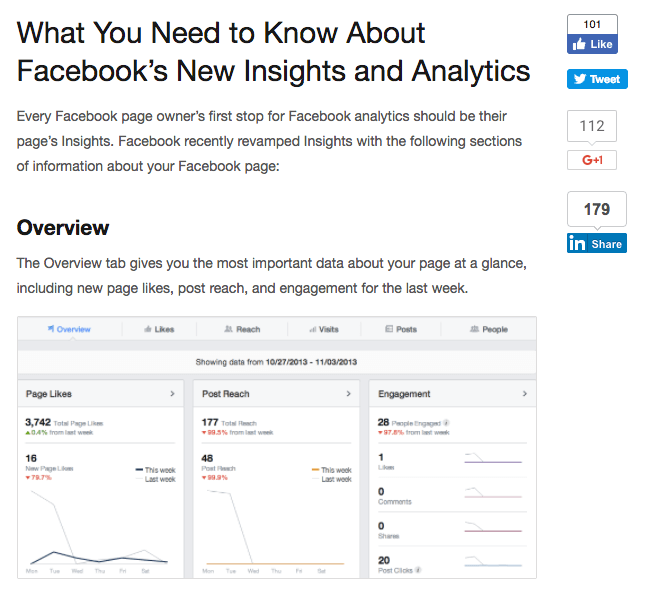 Check out this useful post on KISSmetrics on what you need to know about Facebook’s insight tools and analytics. There are various other plugins, tools, apps, and services out there you can use to improve your Facebook marketing and grow your audience that I’ve not mentioned in this post. I’ll be sure to update this post again in the future, so be sure to subscribe for updates below. OK, so there you have it! Those are just a few of the tactics, strategies, tools, resources you can use to grow your Facebook audience, the smart way. Facebook marketing isn’t rocket-science and nor should it be. Additionally, not all of the strategies listed above will work consistently for you. You may find that some tactics require more work than others, but they’re all great techniques to try out if you’re not already using them. Growing your audience on Facebook won’t happen overnight, especially if you’re starting from complete scratch. You’re going to have to put in some serious work if you REALLY want to succeed with Facebook, especially now it is a Pay-to-Play platform. The very best of luck to you. Thrive Architect Review (October 2018): Its Time To Fire Your Web Designer!